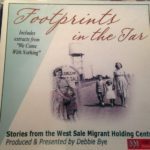 FOOTPRINTS IN THE TAR – award winning series about the migrants who passed through the camp at West Sale from1949 to 1953. 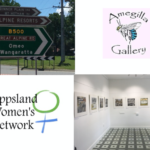 There were no formal records, written, oral or photographic publicly available in Gippsland or Melbourne. This factor added urgency to the project as the adults sent to the camp in 2000 were all in their seventies. 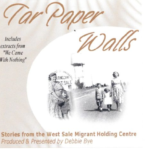 Sale historian ANN SYNAN and ABC Gippsland Regional Manager (1994-2003) Debbie Bye collaborated to preserve the history through the writing and publication of a book “We Came with Nothing” and an oral history “Footprints in the Tar”.. This is a re-edit from original material collected over two years with Sale Historian Ann Synan for the production of the award winning book They Came with Nothing and accompanying radio series Footprints in the Tar. 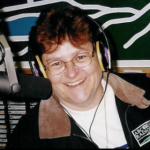 On the 20th June 2003 Deb left the ABC to set up a new Community Radio Station in Gippsland. The management at ABC Radio allowed time for Deb to say goodbye and opened the lines for call in. 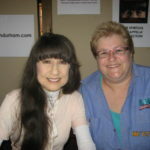 These are excepts from the program.